San Diego Immigration Law Lawyer by Habib Hasbini, Attorney at Law. San Diego immigration law refers to national government policies which control the phenomenon of immigration to their country. The immigration laws in the United States have experienced uneven progress. During colonial times independent colonies created their immigration laws. The first law governing the naturalization of foreigners was the Naturalization Act of 1790. However many years later the Chinese Exclusion Act was passed to stop the immigration of Chinese people. The Emergency Quota Act of 1921 and the Immigration Act of 1924 put a quota on how many immigrants were permitted, based on nationality and previous influx years. The Immigration and Nationality Act of 1952 led to the creation of the Immigration and Naturalization Service. Homeland Security, the Department of Justice, the Department of State, the Department of Labor, and the Department of Health and Human Services. Of the five, the Department of Homeland Security, which replaced the Immigration and Naturalization Service, enforces immigration laws and bestows benefits on aliens. Immigration and Customs Enforcement, and Customs and Border Protection. The United States allows more than 1 million aliens to become Legal Permanent Residents every year, which is more than any other country in the world. The United States also issues more Visas than any country in the world. 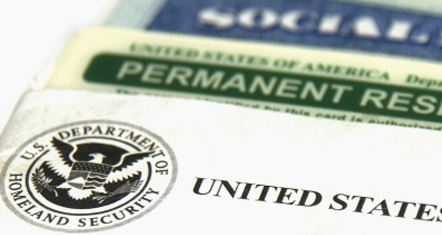 Visas in the United States can be broadly separated into two categories: one for people seeking to live in the US; termed Immigrant Visas, and the other for people coming for limited durations, termed Non-Immigrant Visas. The former visa has “per country-caps”, and the latter does not. Most non-immigrant visas are for work purposes, and usually require an offer of employment from a US business. Such immigration may involve restriction such as a labor certification to ensure that no American workers are able to fill the role of the job, hence designed to protect wages and conditions. Other categories include student, family and tourist visas. Each visa category is further divided into numerous subcategories; the large number of specific categories has been recommended as a main area for comprehensive immigration reform.